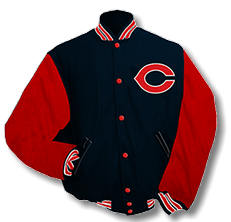 The varsity lettermen jacket is among the most traditional athletic award for a varsity letter winner. 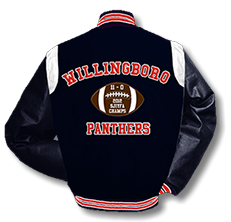 This jacket is designed for endurance and strength which are traits inherent to the athletes who earn them. 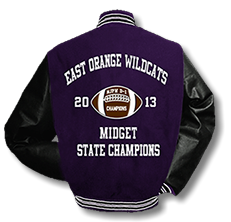 Varsity Athletic Apparel is an industry leader in producing varsity letter jackets to colleges nationwide. 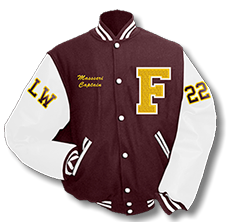 We pride ourselves on creating the custom varsity jacket design that you imagined. We combine this with great pricing and customer service. good vendor and your company provides excellent service." 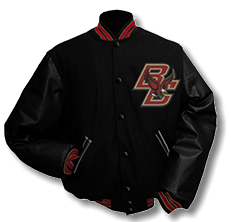 Lined with either black 6oz quilt or a light-weight satin for warmer climates. 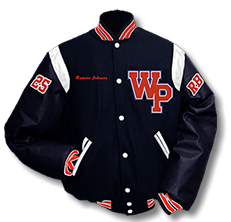 Sleeves are available in wool, vinyl and leather. 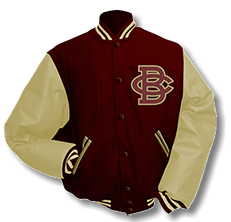 Cuff, Collar & Bottom Trim is made from spun nylon and available in several standard knit patterns. Custom patterns are not a problem. Collars are available in several styles: stand-up knit, fold-over knit and a byron wool.